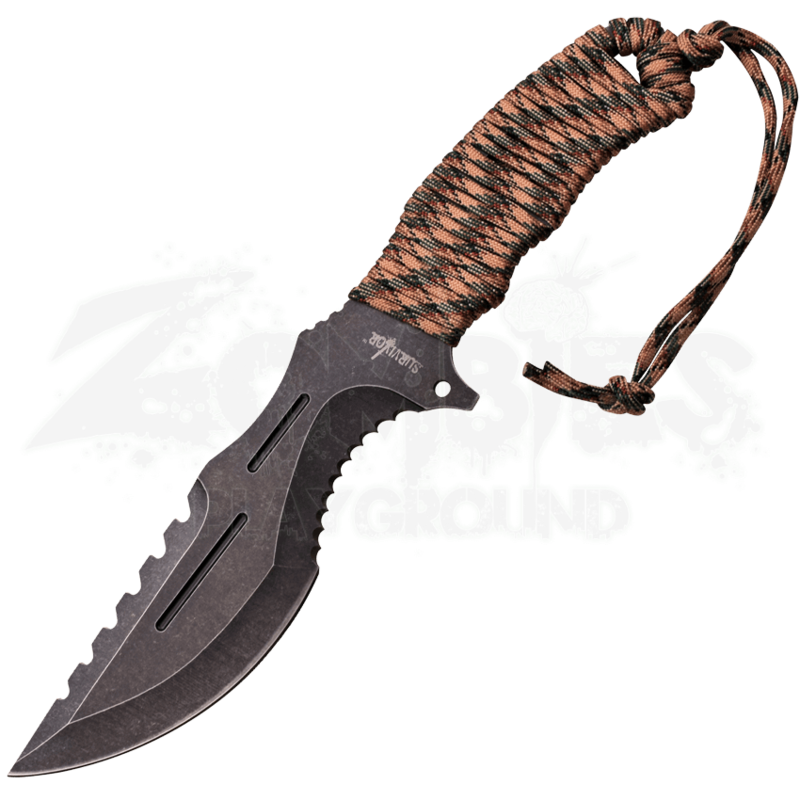 When you want a survival knife with a number of potential uses, look for something like the Camo Cord Stonewash Sawback Knife. This fixed blade knife features a sawback with coarse teeth and a partially serrated belly. 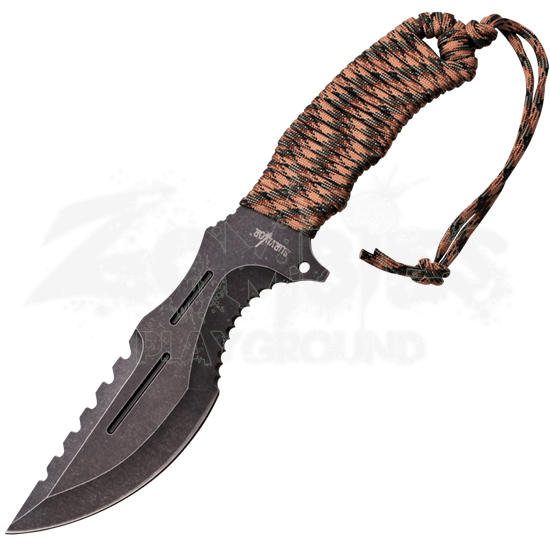 The stainless steel blade displays a dark stonewash finish that looks great with the multi-colored camouflage pattern cord that wraps the handle. This functional knife makes a great option to take on camping trips and to keep handy on a daily basis. The serrated knife comes with a nylon sheath for carrying and storing the blade safely.